6oz Stainless Steel Hip Flask. Holds approximately 6 fluid ounces of your favourite tipple! Supplied boxed. Engraved in-house to exceptionally high standards. 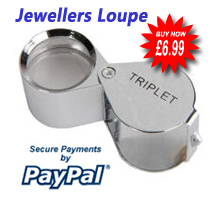 Your free personalised message will be engraved centralised on the front. The message can have up to 4 lines of text with a maximum of 25 characters including spaces per line. Going over our recommended limit will make the lettering too small to read. If your engraving instructions are missing, too long or unclear we will need to contact you to discuss them so to minimise any possible delays please leave up to date email & telephone details when ordering just in case. Holds approximately 6 fluid ounce of your favourite tipple! 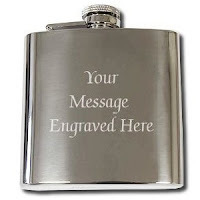 To personalise this Hip Flask please read "Engraving Instructions" below "Product Description"
I ordered three engraved flasks for the Ushers at my wedding through AJ In The Forest via Amazon. Within a week I had all three flasks arrive with the names of the ushers beautifully engraved on the front. The flasks themselves are perfect. The cap is part of the flask, which is a good feature as it means it cannot be lost by drunk Ushers (and believe me, they tried). Pouring in fluids is tricky (especially if you'd have a few fluids beforehand), so I would recommend getting a little funnel to ensure no splashback. The packaging was great and although the transport had made the boxes a little dog-eared, it didn't distract from a quality product, which all of the Ushers loved.